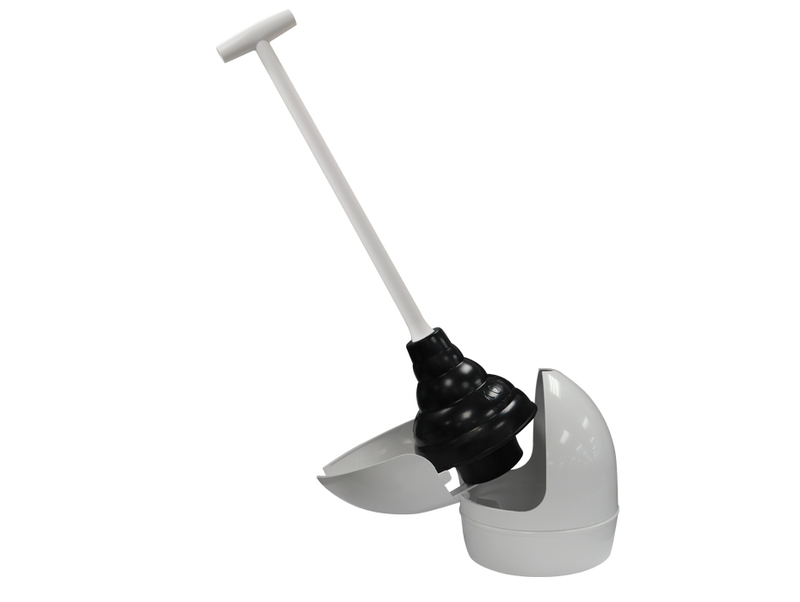 The Toilet Plunger and Holder offers a decorative solution to concealing a plunger. 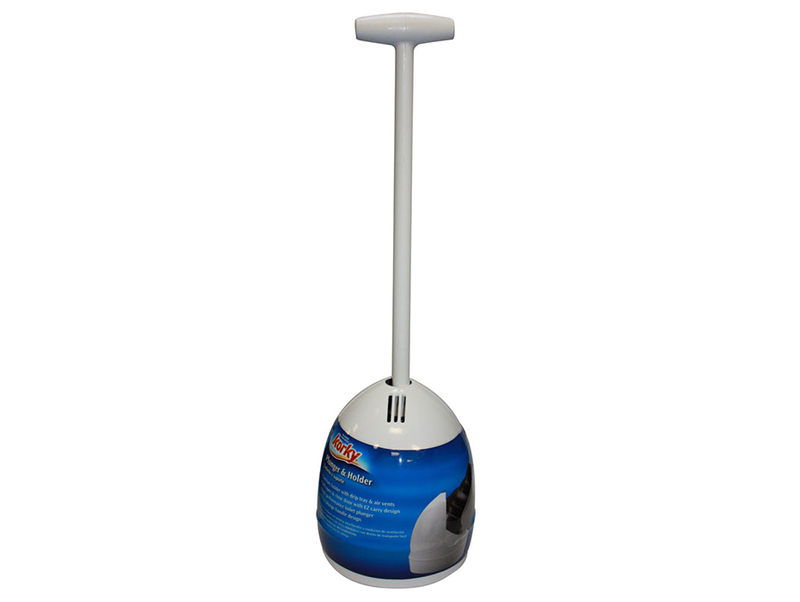 The included sanitary holder contains a drip tray, air vents, self opening and closing door and an easy carry design. 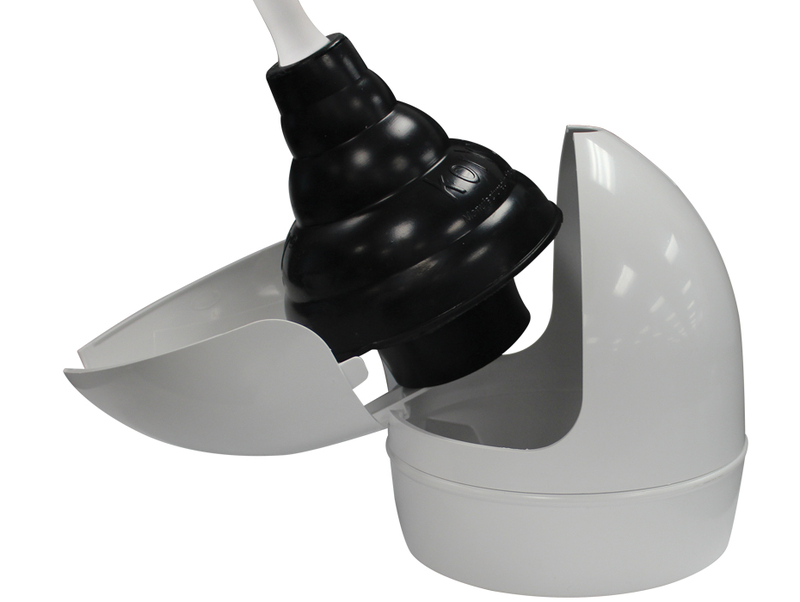 The plunger offers a T-handle that allows for an optimum grip and effective plunge to clear a clogged toilet. The 90-4 toilet parts include: (1) Holder, (1) T-Handle and (1) 6 inch Plunger Head.